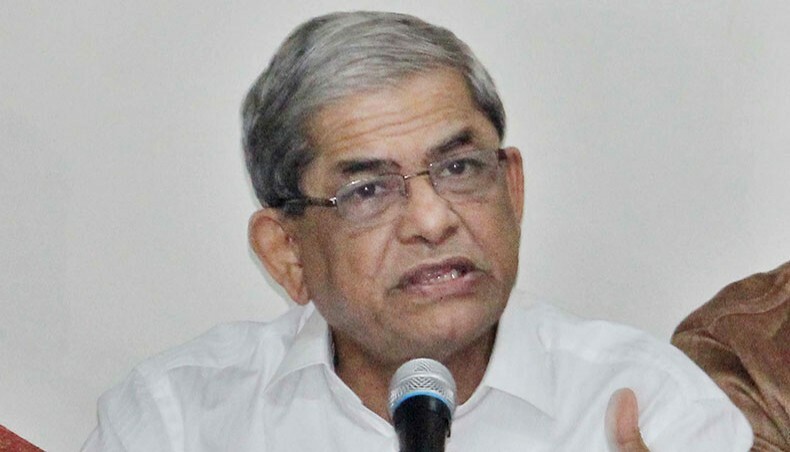 BNP secretary general Mirza Fakhrul Islam Alamgir on Saturday called upon the government to come to the straight path to find out an acceptable way for holding the next general election in a fair and credible manner. “We would like to tell the government you please come to the straight path and release our leader Khaleda Zia, hold talks with her and all other opposition parties to find out a way for holding a fair election,” he said. The BNP leader came up with the call while speaking at a discussion arranged by Jatiya Ganotantrik Party (Jagpa) at Dhaka Reporters’ Unity (DRU) demanding BNP chairperson Khaleda Zia’s release from jail, and annulment of the Digital Security Act. He said there is no alternative to engaging in talks for ensuring people’s welfare and peace and building a democratic and prosperous Bangladesh. Or else, the BNP leader warned, the government will have to shoulder all the responsibilities for the emerging situation. He called upon all parties, including the left ones, to get united to ensure a change in power and restoration of democracy. Fakhrul said the government is making various rules and regulations to hold another lopsided election like 2014 one by the Election Commission.